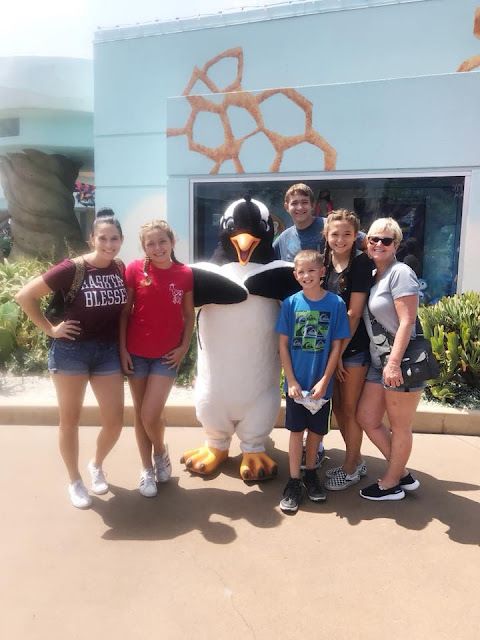 Summer outings with my kids MEANS THE WORLD TO ME! AND SUMMER IS FLYING BY! Summer outings in San Diego make me even happier, because it's one of my absolute favorite cities! 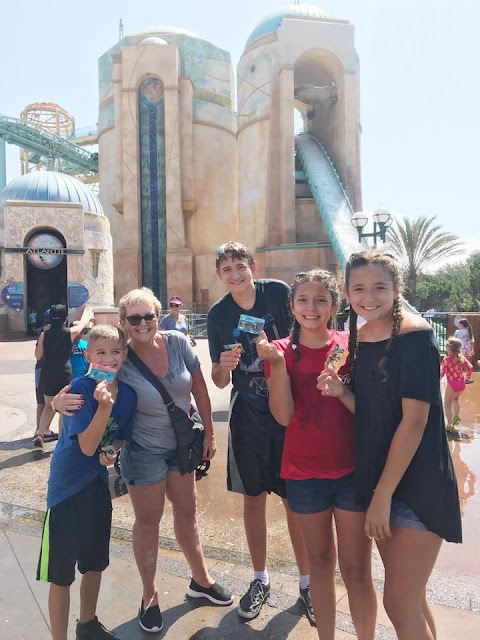 THIS MOMMY IS A TRULY HAPPY CAMPER! 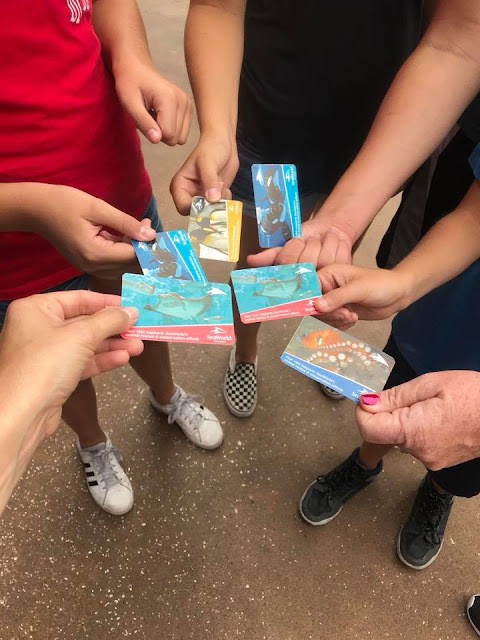 SeaWorld offered us four free tickets to their park in return for this review/feature. 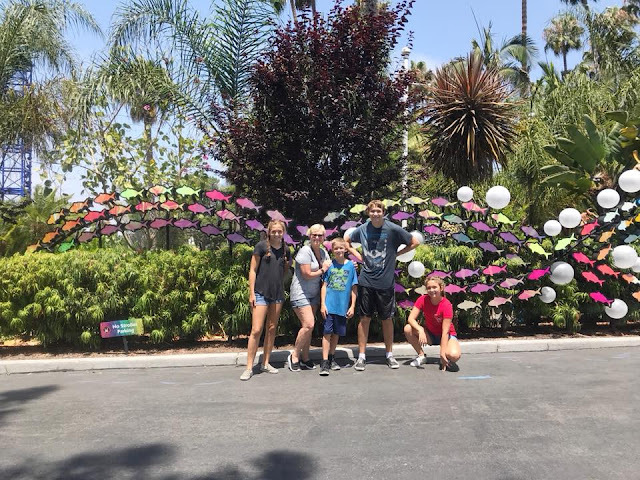 I paid for parking and two other tickets (at half price) so that we could all go in the park. 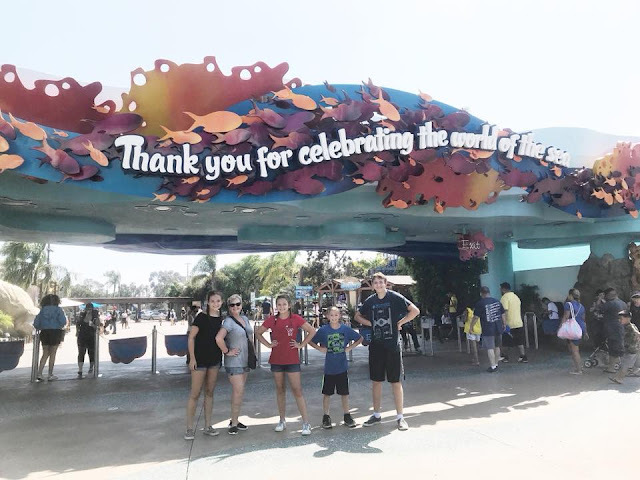 I was not offered any monetary compensation by posting my honest opinion about our time and experience at their park. 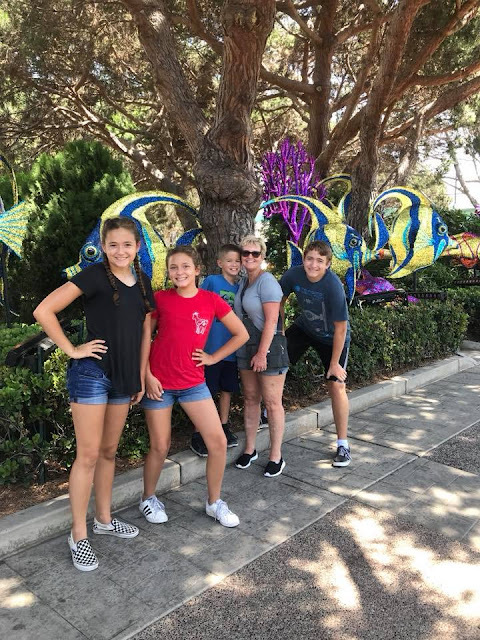 So since we had the opportunity to head to SeaWorld to ride the new ELECTRIC EEL Roller coaster, we invited my "Mother in Love" (MIL) along to enjoy the day with us too! 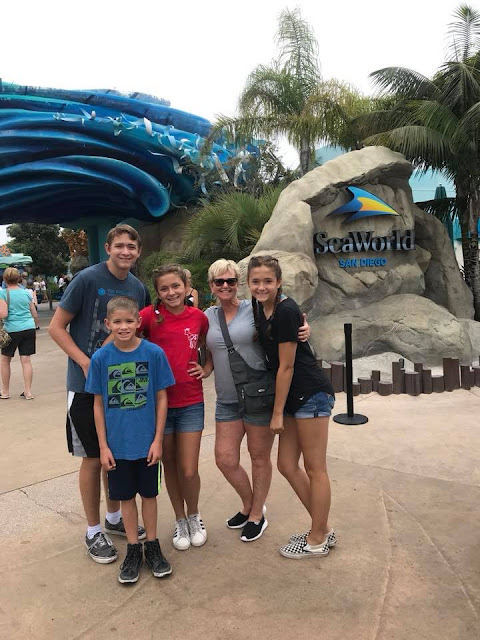 She hasn't been to SeaWorld for years and was thrilled to see all the changes (since the last time she'd been) and spend a fun day with us walking around (getting her steps in) and enjoying some bonding time with our kids. 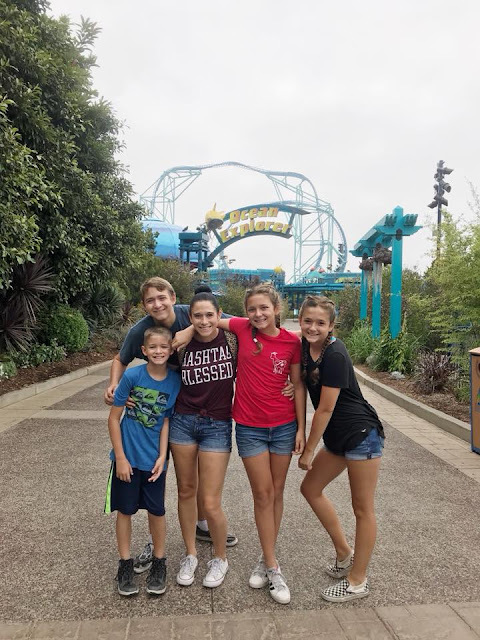 Our first stop in the park was to the Electric Eel Roller coaster, of course! We had to conquer this one, despite a little bit of fear and anxiety, because it's BRAND SPANKIN' NEW. 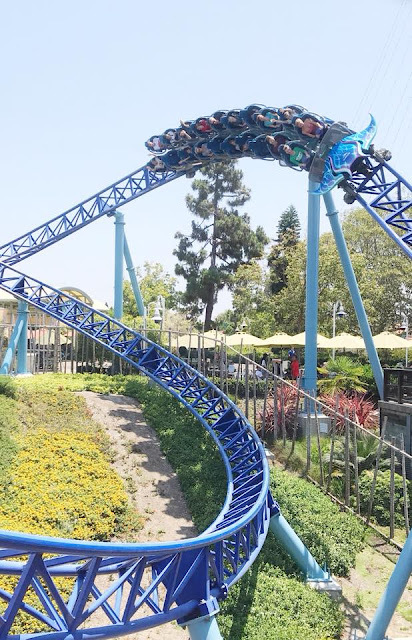 It's also San Diego's tallest and fastest roller coaster that does three different launches and offers the only upside down view of San Diego. 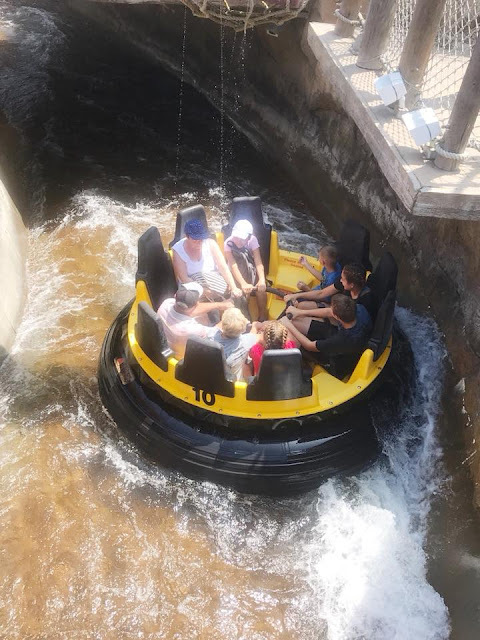 I thought my youngest daughter was going to have a heart attack (or chicken out) waiting in line, but she got buckled in and all five of us (my MIL sat this one out), had an absolute BLAST! We loved it! 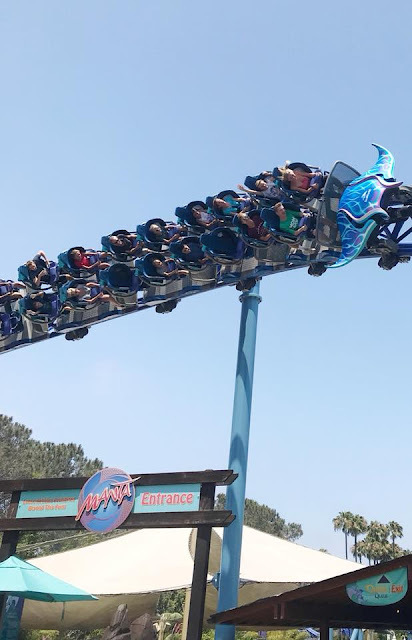 I'd say it's my FAVORITE RIDE at SeaWorld. After that, we headed out to explore the park. 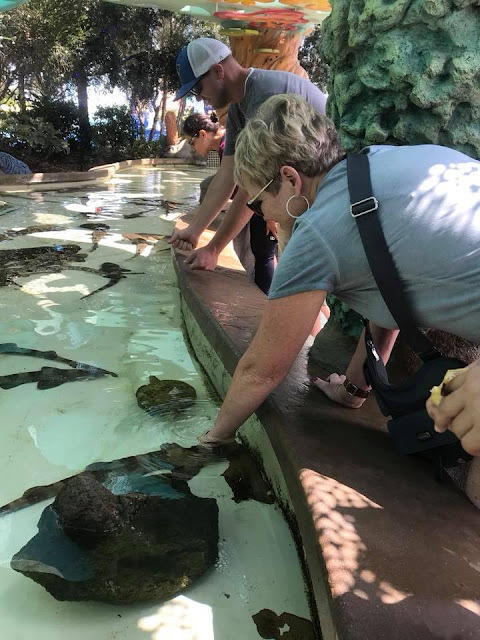 My MIL got to pet a shark. She thought that was pretty cool! 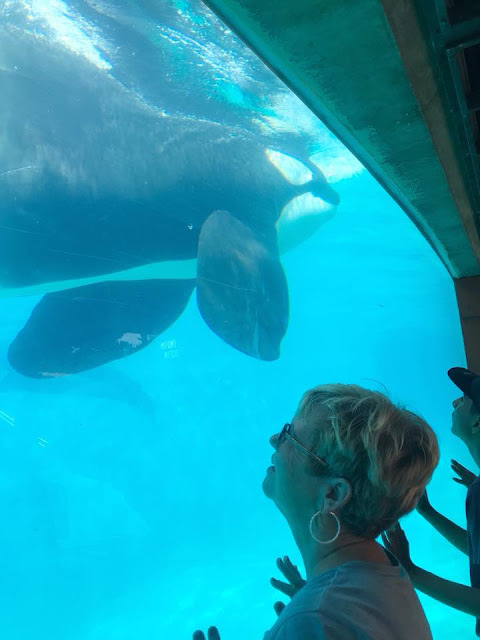 We had to go say hello to our friend SHAMU...and it was actually the first time that my MIL has ever been that close to an Orca Whale. 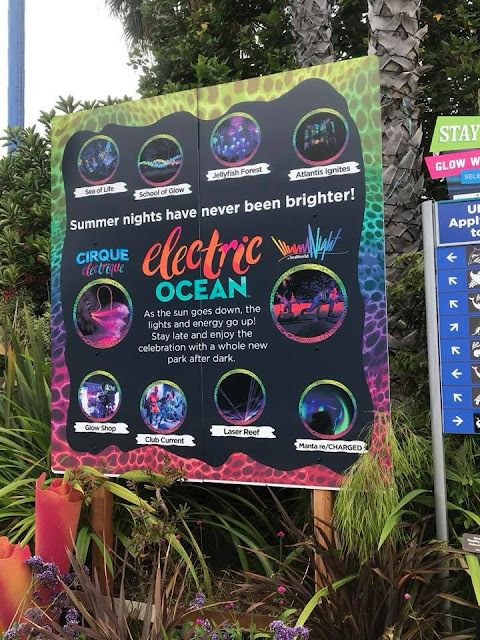 All around the park are some amazing ELECTRIC OCEAN decorations around the park, because when the park goes dark...the ELECTRICITY INTENSIFIES this summer. 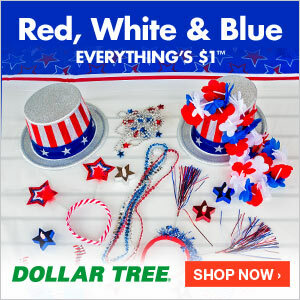 Bright colors, DJ's, Dance Parties and summer Night Time Celebrations! We were not able to stay tonight to enjoy all this FUN...but we will have to come back and check it out before it ends! It sounds like so much fun! 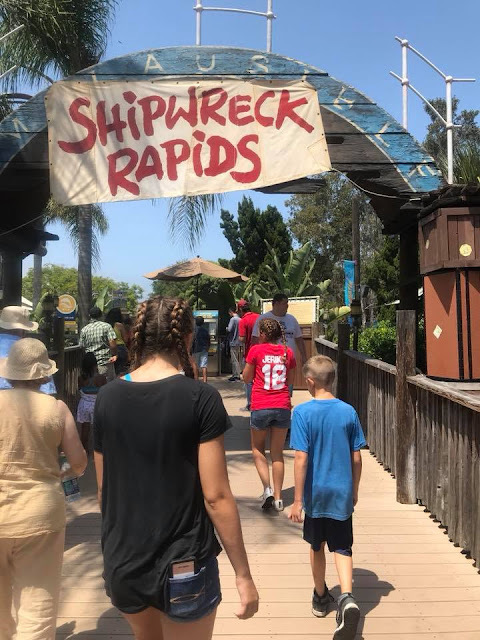 The kids wanted to take their Grandma on Shipwreck Rapids. 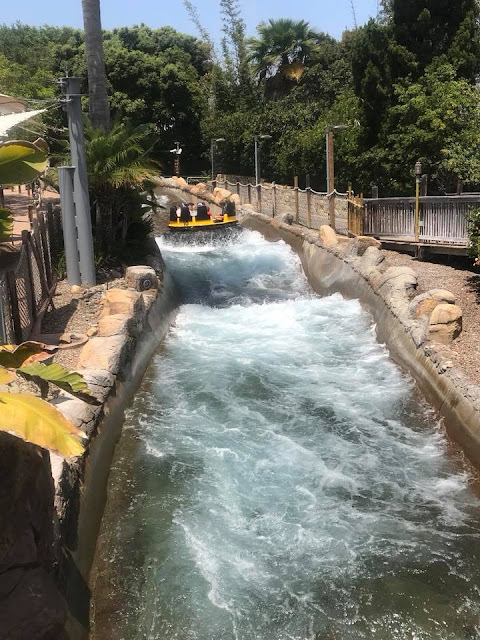 It was a warm day and a water ride sounded like so much fun! 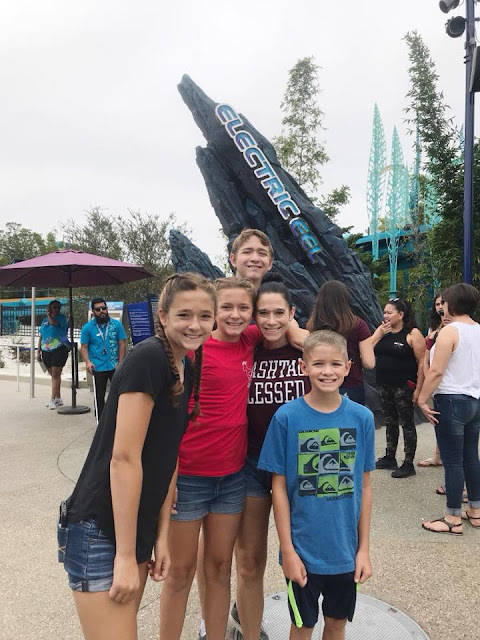 Of course, no surprise here, they had a blast! 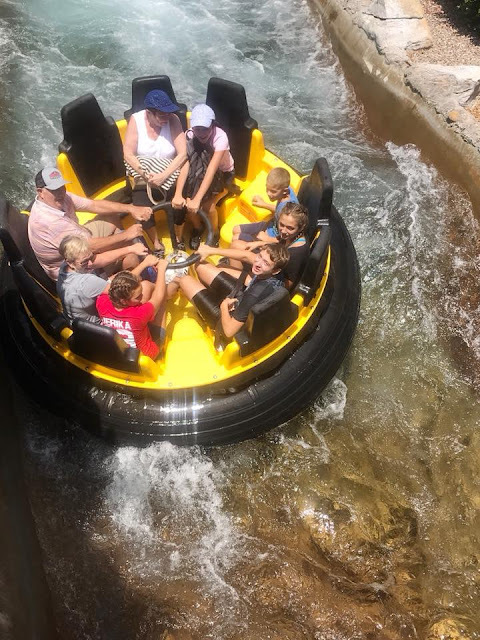 And yes, they got off the ride with wet shoes and BIG SMILES! 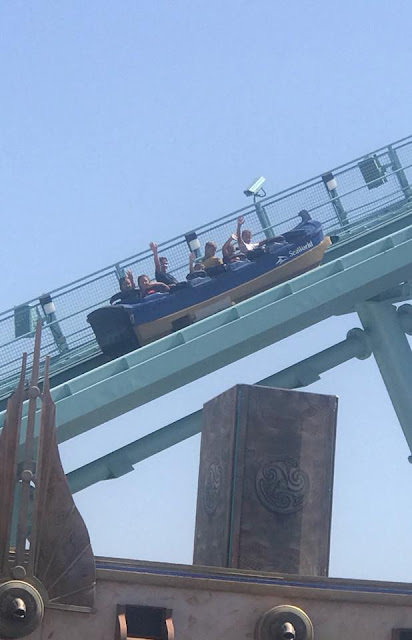 Then, they decided Grandma needed to ride on a roller coaster too, so she agreed to ride MANTA with the kids. She's a brave soul! She really toughed it out today with them! After that, everyone decided they were hungry, so we took a lunch break...so we found Mama Stella's pizza and pasta. Three kids got chicken tenders & french fry kids meals (they were so excited they came with drinks), my MIL got a BBQ Chicken pizza & watermelon slices to share, and I got a Shrimp Pesto Pasta to share with our oldest daughter. 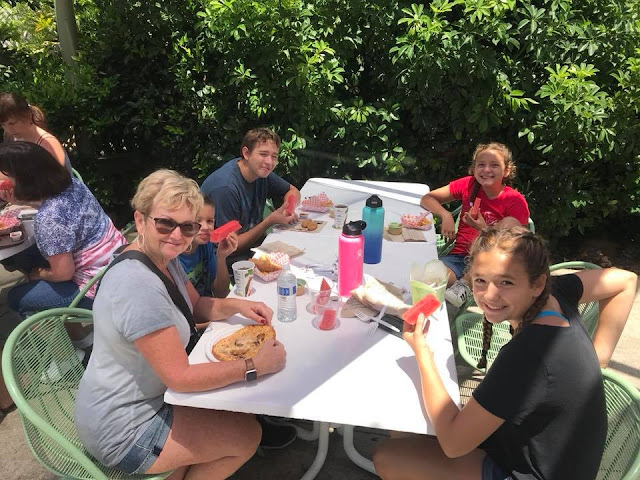 After lunch, we decided it was time for a cool down, so we headed to the Shark Encounter. 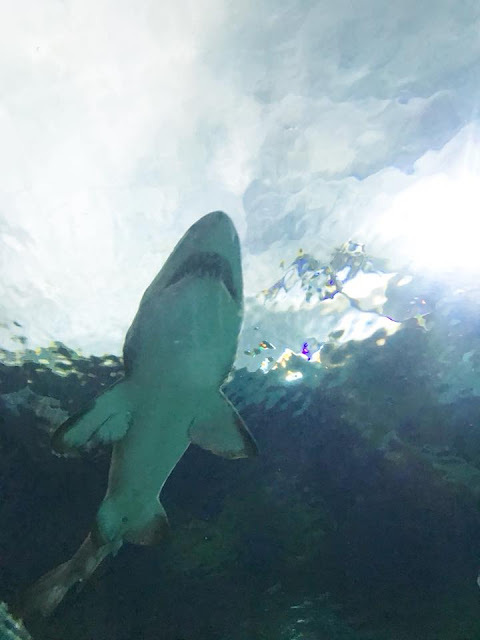 I'm just glad the glass is thick and those sharks can't come and get us with all those teeth. 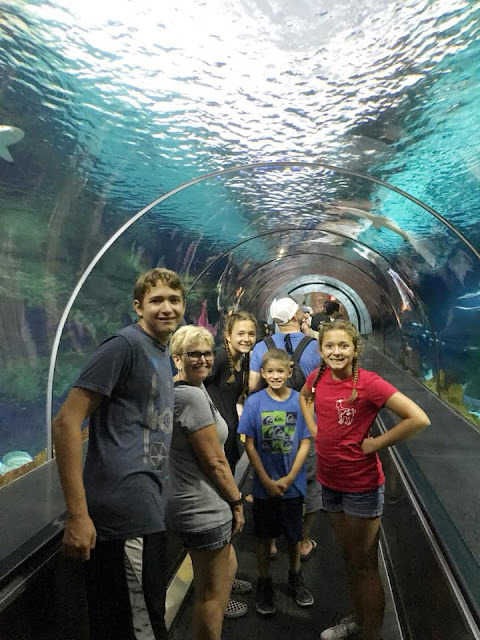 It's always so cool to ride through the tunnel, as the sharks swim and swarm all around us! 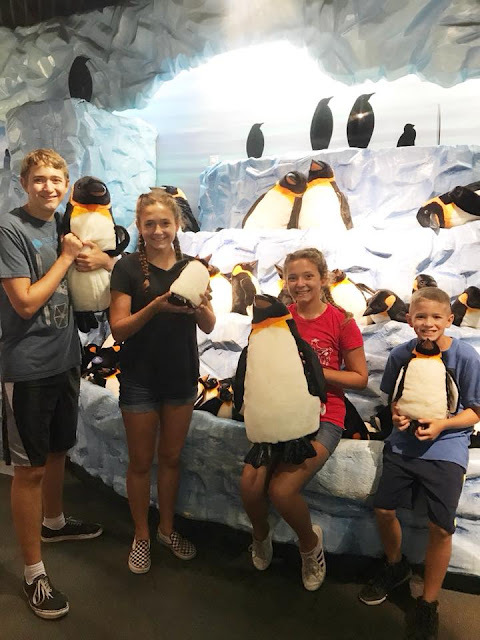 The PENGUINS Exhibit helped us cool off a bit! Did you know that when it's summer time here, it's actually winter time in Antarctica? 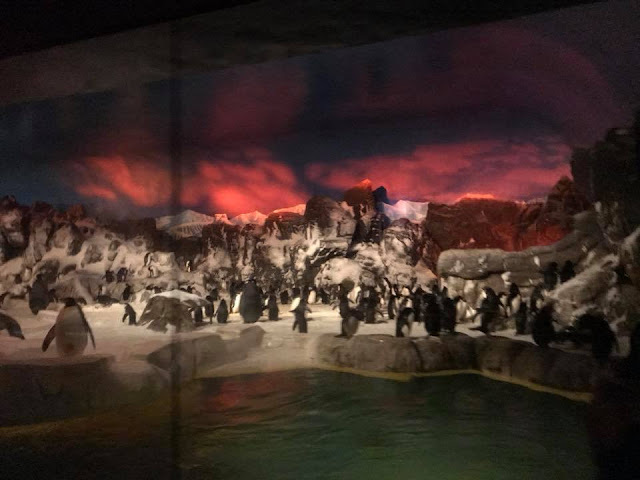 That means the penguin exhibit goes dark during the summer...so their seasons stay on schedule! PRETTY COOL (literally and in the exhibit too)! 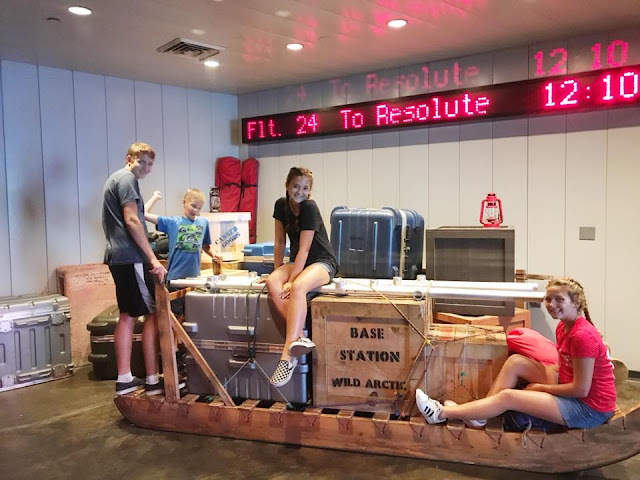 We also went on an Arctic Excursion to see the Beluga whales, the walruses, and a couple seals. 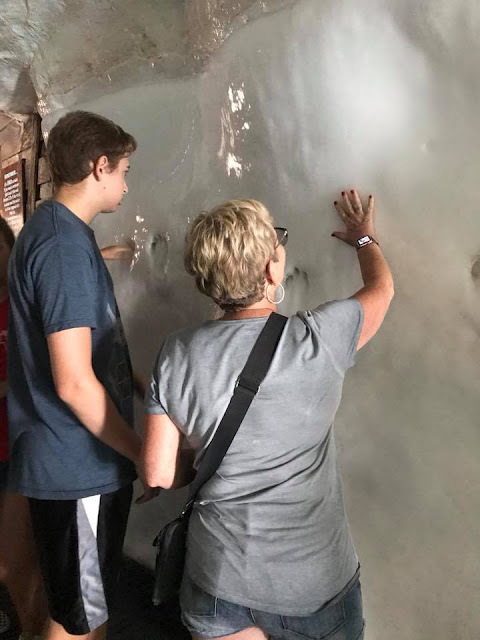 We played with the ice wall (it was nice to cool off a bit again) and even spent a minute pretending we were on an outing in the Arctic. 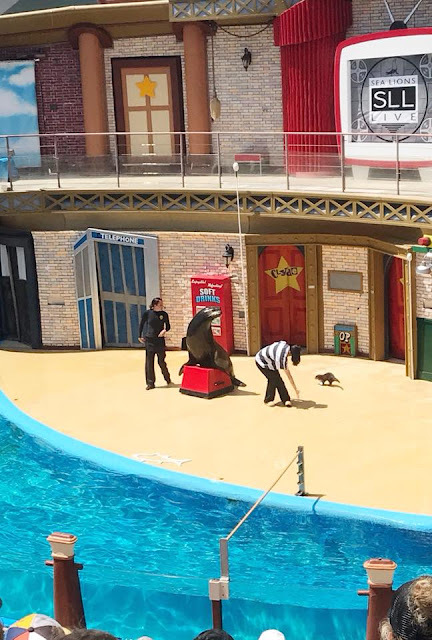 We went to see the SeaLions Live show. This show always makes us giggle! I even Instagram Live'd during the show (you can check it out on www.instagram.com/onenotsoboredmommy). 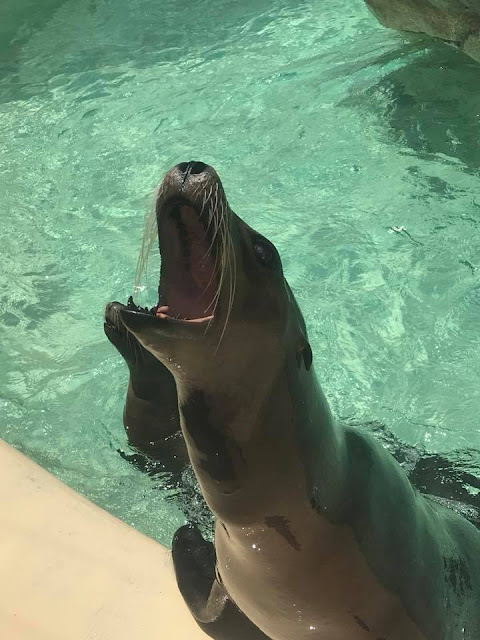 The kids got to experience, for the first time ever, feeding the Sea Lions! 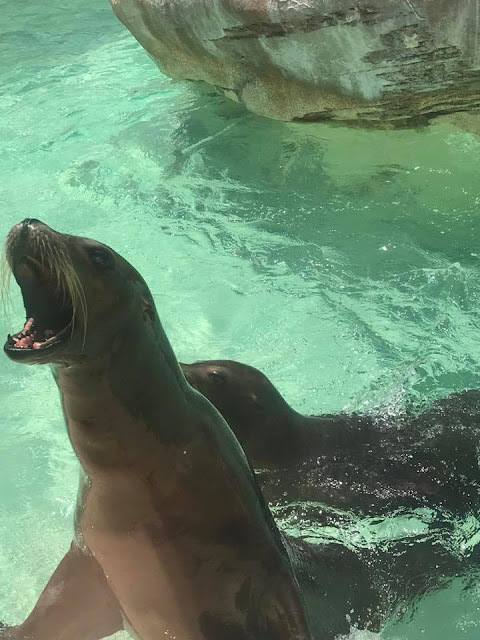 Talk about some vocal Sea Lions. They were so excited to chat with us and scarf down some yummy treats too! 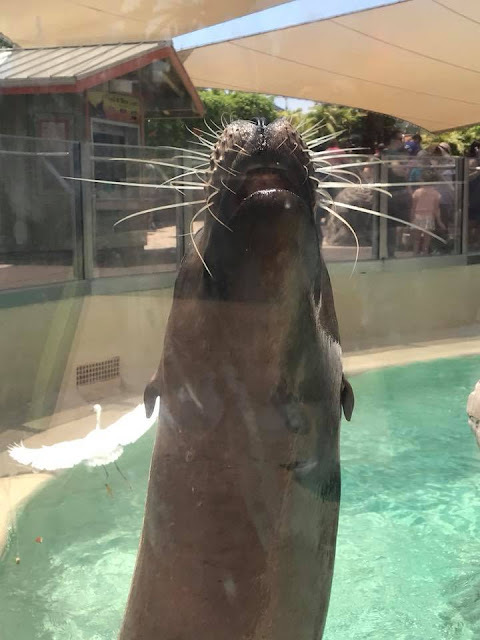 The best part, the birds around the exhibit were almost as interested in the fish as the Sea Lions were. 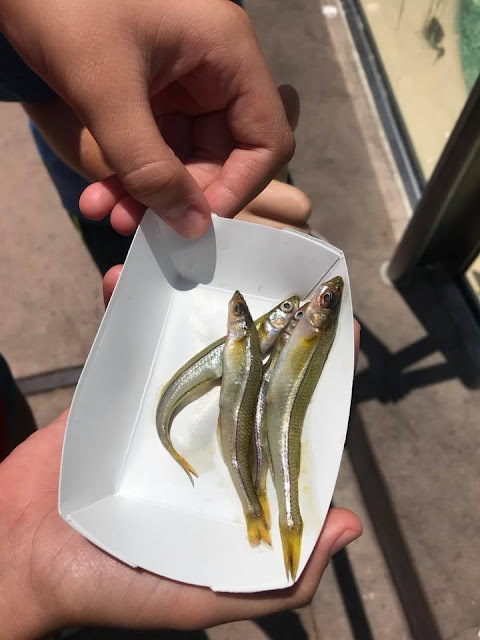 We had to watch closely as they reached out, or the birds would snag the fish first. 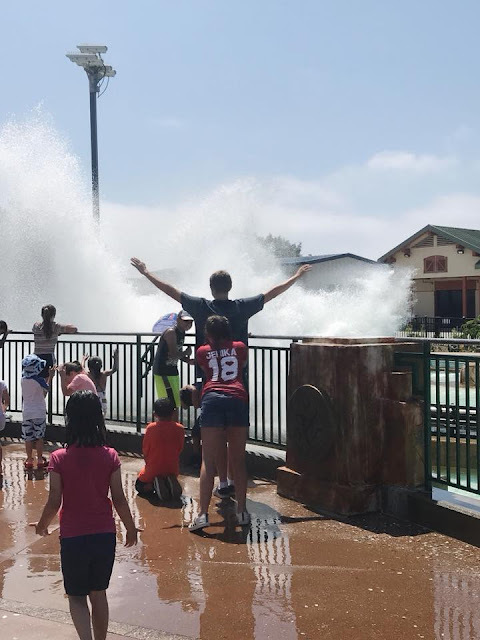 We ended our time at the park with BIG SPLASHES from Journey to Atlantis, their Grandma got them fast track passes so they wouldn't have to wait in the line, and they had a blast getting soaking wet & drenched. 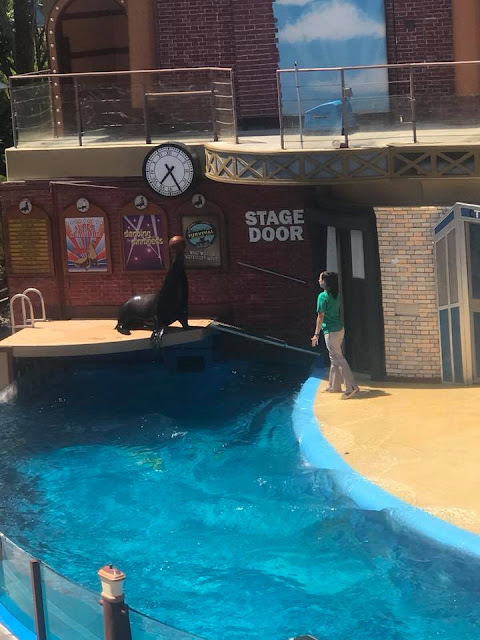 This was the perfect way for us to end our time at SeaWorld San Diego! 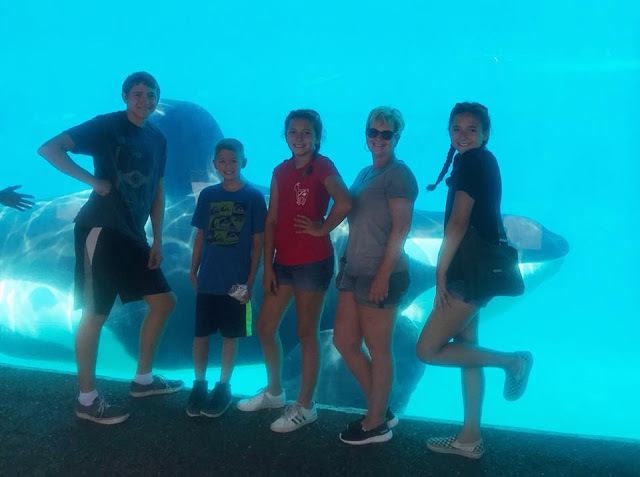 No surprises here...we had another AMAZING DAY at SeaWorld San Diego. 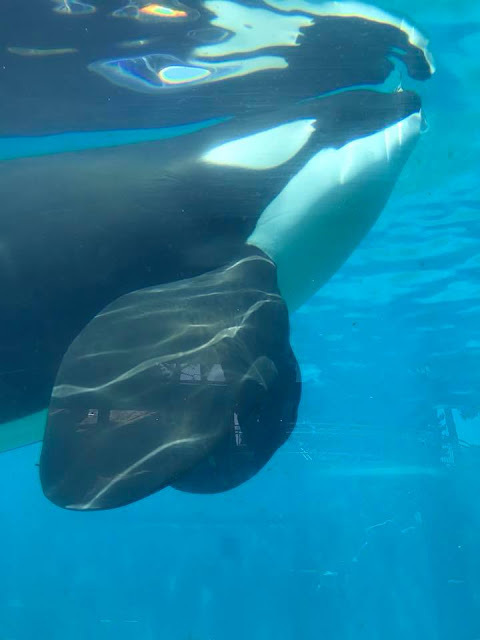 CLICK HERE to learn more about SeaWorld San Diego! I was not paid to feature this post! Four of our tickets were offered free of charge. Two of the tickets were purchased on my own accord at 50% off the regular ticket price. I was not compensated in any other way.